Features silver-tone hardware, black stitching, 2 exterior zippered pockets, 1 zippered main compartment, and 1 interior zippered pocket. Measures 12-1/2' x 11' x 2-1/2'. 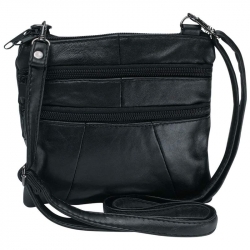 Equally stunning with an evening dress or your favorite pair of blue jeans, the Casual Outfitters(TM) Black Ladies Solid Leather Small Shoulder Bag is perfect for carrying the essentials. 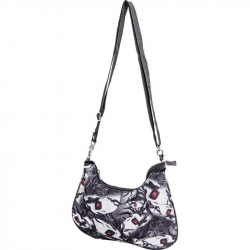 Features 2 zipper pouches to keep needed items at your fingertips, a comfortable shoulder strap, and trendy gun-metal hardware. Wonderful gift idea for the woman or teenager on your holiday gift list. 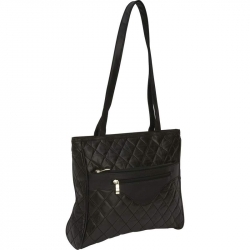 A black shoulder bag is a wardrobe staple that will never go out of style! 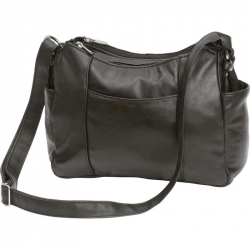 Features multiple exterior zippered pockets and exterior phone compartment; two zippered main compartments with interior zippered pocket and pouches; fabric lining; adjustable shoulder strap; and chrome hardware. Measures 10-3/4' x 9' x 3-3/4'. The handbag you carry says everything about you. 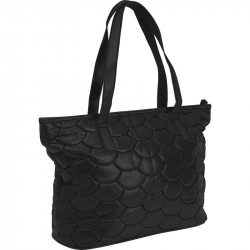 Make a fashion statement when you carry Embassy(TM) Solid Genuine Leather 3pc Purse Set with Crocodile Embossing. This 3-piece set has it all: a large purse featuring zippered closure, 3 interior pockets and hand straps; small purse featuring a main compartment with flap, privacy pocket, and adjustable shoulder strap; and a cosmetic purse featuring zippered closure and measuring 7' x 5' x 2'. Large purse measures 15' x 13-1/4' x 4'. 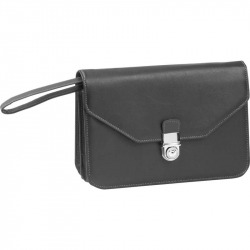 Small purse measures 10-1/2' x 8' x 3-3/4'. 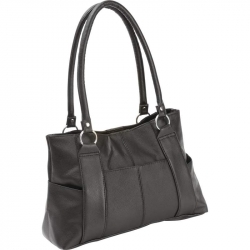 Features 2 interior compartments, 2 interior zippered pockets, polished snap closure, and hidden internal wrist strap. Measures 9-5/8' x 6-1/2' x 2-5/8'. 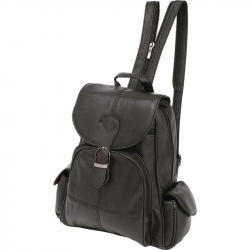 Features 2 zippered main compartments, 2 zippered exterior compartments and a detachable/adjustable shoulder strap. Measures 7' x 6-1/2' x 7/8'. The Extreme Pak(TM) 12' Ladies' Convertible Purse does double duty! 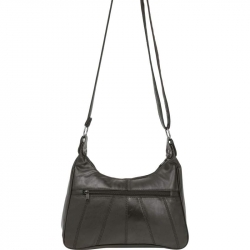 Carry on your shoulder, or remove the shoulder strap and hook the purse directly to belt loops. 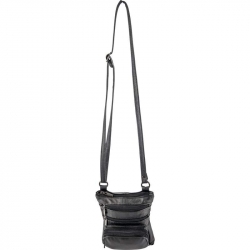 Perfect for activities such as hiking, shopping, or bike riding when you need your hands free. Silver-tone hardware accents and black webbing. Measures 12' x 8' x 6-1/2'. 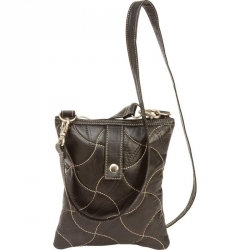 Features silver-tone hardware, beige stitching, internal side pocket, shoulder strap, and belt loop. Measures 8" x 6-1/2" x 1". Features gunmetal hardware, multiple zippered compartments, magnetic closure, adjustable shoulder straps, and interior zippered pocket. Measures 9-1/4' x 11-1/4' x 4-1/4'. 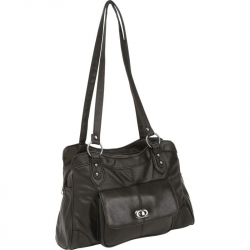 Feature multiple zippered compartments; hook and loop fasteners; silver-tone hardware; and heart medallion. Large purse measures 13' x 11' x 5-1/2'; small purse measures 9-1/4' x 8' x 3-1/2'; and cosmetic bag measures 6-3/4' x 5' x 2-1/2'. Not sold individually. 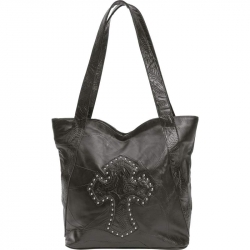 Features genuine leather body, faux leather trim with tooled paisley design, studded details, top zippered closure, shoulder straps, and exterior zippered pocket. Interior features zippered pocket and 2 side pockets. Measures 15-1/4' x 14' x 1'. 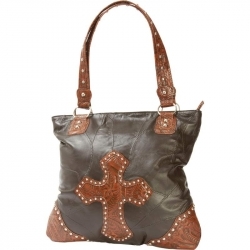 Features tooled paisley design, studded details, shoulder straps, zippered main compartment with zippered interior pocket and pouches. Measures 12-1/2' x 13-1/4' x 4-1/2'. Whether you're headed to the office or a day of shopping, the Embassy(TM) Solid Genuine Lambskin Leather Purse is as functional as it is attractive. Fashion and function combine for endless organizational capabilities. Features multiple pockets, a compartment with snap closure, 2 zippered compartments, a zippered privacy pocket, cellphone holder, and comfortable, adjustable shoulder strap. Measures 11-1/8' x 8-1/2' x 3-3/4'. 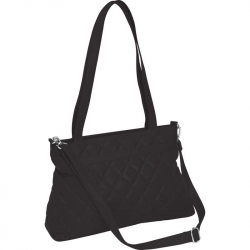 Features silver-tone hardware, quilted design, black stitching, interior zippered pocket, interior slip pocket, and adjustable shoulder strap. Measures 12' x 8' x 3'. Features zippered main compartment with interior pocket and pouches; multiple exterior pockets and compartments; and exterior phone compartment. Measures 13' x 9-1/4' x 5-3/4'. 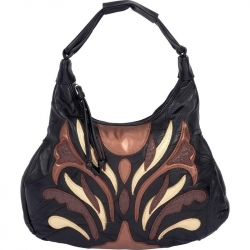 Features decorative leather design; zippered main compartment; exterior zippered pocket; 2 interior pockets and pen holder; reinforced hand strap; and tassel zipper-pulls. Measures 14' x 10' x 3-1/4'. Features multiple exterior pockets and exterior phone compartment; zippered main compartment with interior zippered pocket and pouches; fabric lining; shoulder straps; magnet closure and chrome hardware. Measures 13-3/4' x 9-3/4' x 5'. 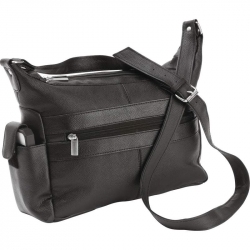 Features gunmetal hardware, black stitching, 2 exterior zippered compartments, zippered main compartment, and 1 interior slip pocket. Measures 11-3/4' x 8-3/4' x 4'. Features gunmetal hardware, zippered main compartment, 2 magnetic closure side compartments, 1 exterior zippered pocket, 1 exterior twist lock pocket, and interior zippered pocket. Measures 13' x 8-1/2' x 3-1/2'. 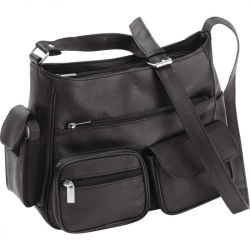 Features silver-tone hardware, black stitching, 1 zippered main compartment, 1 interior zippered pocket, and 2 interior slip pockets. Measures 14-1/2' x 11' x 6'.